We are a small group of men and women who get together to do Step Clog Dancing. We practice every fortnight in Stourbridge, West Midlands (UK). Beginners and more experienced dancers are always welcome. What is step clog dancing? 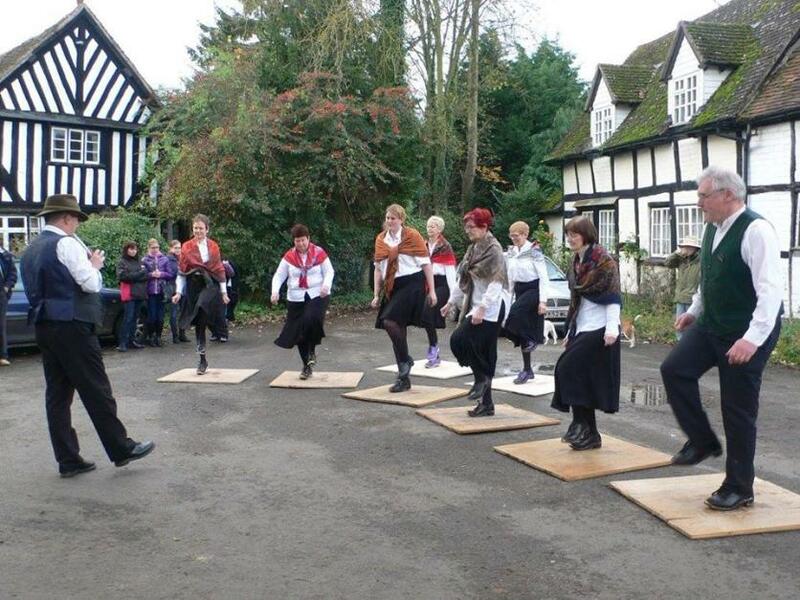 Step clog dancing is a traditional form of dance. It is like tap dancing. The dance is done in wooden soled clogs to traditional music. We practice at the Stourbridge Institute 12 Market St, Stourbridge DY8 1AD. We meet every other Wednesday evening at 8.00 pm. We finish at 9.30 pm. Anyone who is interested in clog dancing is welcome. We will practice is on the 21st February 2018 and continue every fortnight from then. We hold occasional workshops where people from outside the group are invited to learn dances with us. We perform at local places of interest and events. We go to folk events dance around the country. If you would like more information or would like us to dance at your event please contact jshirley_bham@yahoo.co.uk.